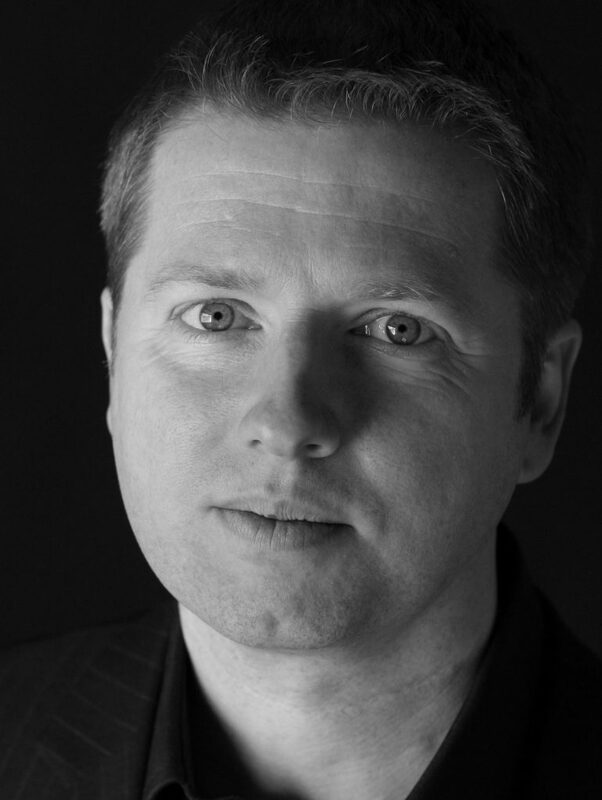 Ian, you have written for Chamber Choir Ireland before and they’ve performed some of your other works – is this piece similar in style to those, presenting similar challenges or does it take a different direction? This is a darker work than the others I have written for the Chamber Choir. In ‘The Beloved and Her Lover’ (2009) and ‘Little Red Fish’ (2006) I definitely took the opportunity to push at the boundaries of my own approach to choral writing, both technically and expressively, due to the presence of such good singers. However, with ‘Slouching towards Bethlehem’, as well as there being a number of technical challenges for the singers I have also explored the use of non-musical vocal sounds, such as asking the choir to bay like a pack of dogs, or to moan and even shout. These sounds are used expressively in the work and they add to both its drama and its colour. You’ve written quite a lot of orchestral and chamber music works – does this type of writing come into your choral writing as well or do you approach them in a different way? I am interested, on occasion, in the idea of writing “orchestrally” for choir – that is, to sub-divide the parts so that there are many lines rather than just four. This allows for a much greater variety of texture and colour. The piece I took this approach most clearly in is ‘The Beloved and Her Lover’, where there is a single line for each singer. ‘Slouching towards Bethlehem’ is mostly in 5 parts, with the sopranos sub-dividing. Does the text you select influence the style with which you write? What was it about these particular texts that drew you to set them? I am not so interested in the idea of style – certainly the Yeats’ texts I chose for this new work have a dark and brooding undertone of menace about them and I responded with a dark and brutal piece, but that’s more about mood and drama rather than seeking to write in a particular style. The texts are gloriously foreboding, and there’s nothing ironic in them either; I find them exciting in a macabre way and felt I could respond in a visceral manner to them in music. What do you change (if anything) when writing for professional choir opposed to non-professional? When the quite rare opportunity to write for a professional choir comes along I always feel that I am free to write whatever my imagination will let me, without having to worry about pitching, difficult harmonies or unusual textures, etc. There is a mental freedom in writing for, for instance, Chamber Choir Ireland and that allows me to write my most challenging and liberated works; at the same time, I don’t write with the thought that I am deliberately making the music difficult, but rather that I am exploring the texts as fully as I can. The work will also feature in the Seminar on New Choral Music on Friday 1st May at 2pm in the Stack Theatre at the CIT Cork School of Music. The full performance will be repeated in University Church, Dublin on Saturday 2nd May at 7.30pm. Slouching towards Bethlehem was co-commissioned by the Cork International Choral Festival and Chamber Choir Ireland with funds from the Arts Council/an Chomhairle Ealaíon.